Peachtree City Christian Church has a BIG mission, yet the reality is, so do you—so do each of us. Jesus called for us, individually and collectively, to go into all the world, that is a big mission. In fact, we call it the great commission because of its scope. As a church, PTC3 wanted to be able to articulate and communicate this call in such a way that it is easy to remember. After an enlightening conversation with a colleague where George was challenged to teach how to share the Good News, he set out to construct and formulate the BIG mission. George believes that there are 3 key elements: method, intent and growth, which help us be effective as we share God’s Word. 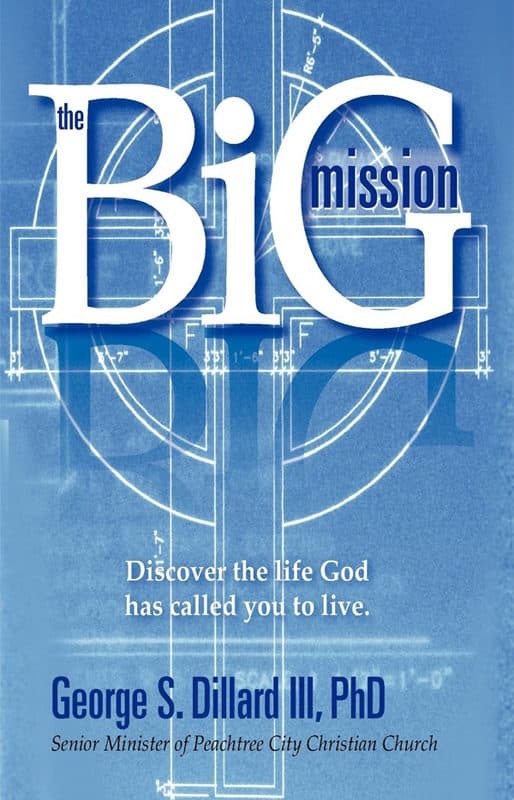 The BIG Mission book is a look into the practical application of building relationships, introducing people to Jesus and growing disciples. After all, it is a really BIG mission.